You receive a mail, but you find out some of the link in the mail is not clickable, you wonder why. 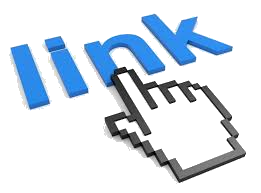 One thing you should always remember is that, the email service provider of the receiver mostly is responsible for making links clickable or not. So if all or some links in a mail you receive is not clickable, then it might be because of reasons similar to the ones below. Though the specific algorithm/criteria any mail displaying application might use to determine whether or not something should be highlighted as a link is not made available to the public, the possible cause of the problem outline below should not quickly be discarded. For one certain thing, broken links (that is link that has a space between it characters) will definitely not be clickable. Also are links which looks suspicious. Like links which says will take you to a certain web page/site, but when clicked will automatically redirect you to another web page/site. Another cause might be, if the supposed link does not look like a link. For example, the suppose link started with http:// but it does not end with the right file extension such as .html or .php or any other common web file extensions, or there are funny characters in the link. perfectly, due to some reasons, some of which is outlined above.